The SPC was developed over the last 2 years by MUF founder and fin designer Rick Hanke and a slalom test team lead by Kurosh Kiani. It features a narrow outline and a new thin low drag profile, making it extremely fast on all courses. The SPC is especially suited for racing in rough and overpowered conditions and accelerates great from jibes. 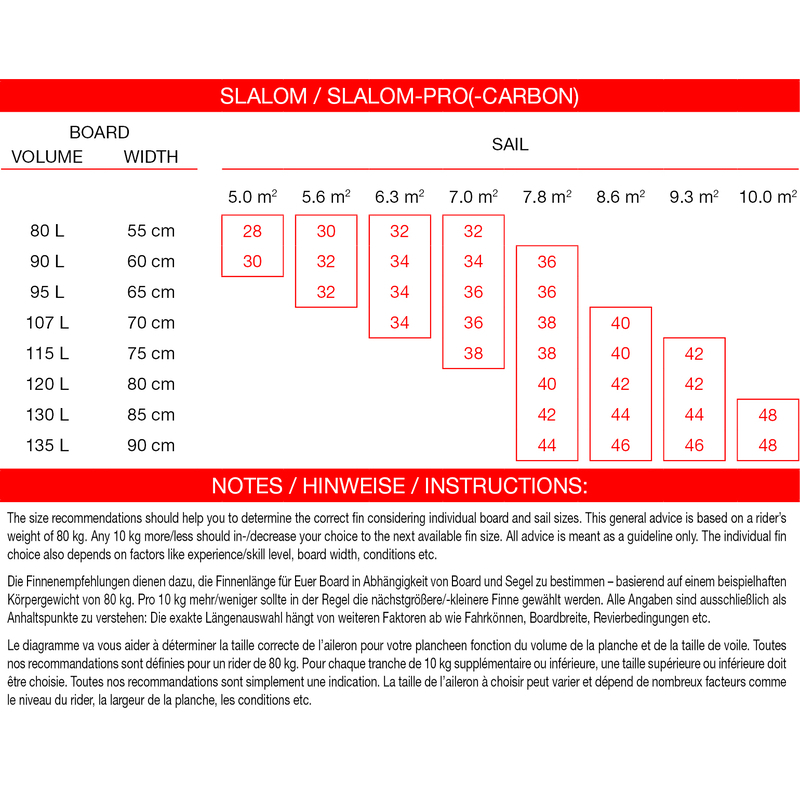 Kurosh Kiani: ?The new Slalom-Pro-Carbon is designed with maximum speed in mind. The foil has been thinned out, and the new combination of stiffness and rake has been fine tuned for optimum performance!? Construction: Carbon, RTM technology — made in Germany by THM, Alt-Duvenstedt.